Philadelphia Police have arrested and charged a suspect in the West Philadelphia shooting of a limo driver on Saturday. 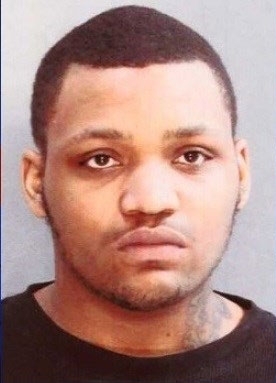 20-year-old Alonzo Dilligard of Darby, PA has been charged with murder and related offenses. (pictured) They are also questioning a 21-year-old suspect and a third is being sought. The three suspects were in the back of the 2007 silver Chrysler 300 limo car driven by 26-year-old Mijael Rodriguez. He stopped to drop them off around 7 pm Saturday on the 5400 block of Delancey Street in Cobbs Creek. Dilligard then pulled out a gun and pointed at Rodriguez's fiance, who was in the passenger seat, and demanded he give them everything he had or he'd kill her. Rodriguez gave him $30. As the three left, Dilligard shot Rodriguez in the head and fled. His fiance was not hurt. Rodriguez, who has a 5-month-old baby girl with his fiance, had just started driving for La Primera Car Inc. to make extra money. Winter weather is certainly back in the Philadelphia area as bitter cold and wintry precipitation is invading. We'll see see an Alberta clipper makes it's way through tomorrow in the morning/afternoon hours and drop a quick 1-2” of light, powdery snow. It'll be gone by the afternoon rush hours but the cold temperatures will drop even further behind it. High of only 29 on Tuesday and Wednesday. Overnight low of 8 on Wednesday. Thursday still cold at 23. 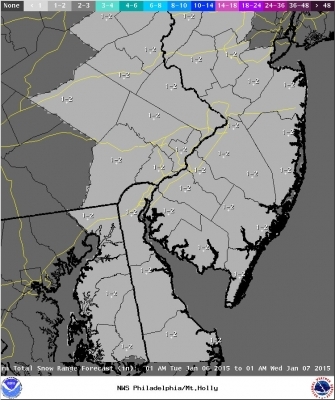 There have been Code Blue advisories issued in Camden, Burlington, and Bucks counties. Accused Pennsylvania State Trooper Killer Eric Frein appeared in court today for a preliminary hearing. 31-year-old Frein is accused of wounding one trooper and killing another in an ambush sniper attack on the Blooming Grove barracks in Northeast Pennsylvania on September 12th. Following the attack he lead authorities on a 48-day manhunt through the Poconos woods before being apprehended on October 30th at an abandoned airplane hangar. Pike County prosecutors showed surveillance video of the attack that killed Cpl. Bryon Dickson and wounded Trooper Alex Douglass today in court. Authorities first identified Frein as the suspect after discovering his vehicle abandoned in a swamp. During the manhunt they found his journal with entries describing the attack. The judge ruled there was enough evidence and that Eric Frein should stand trial.